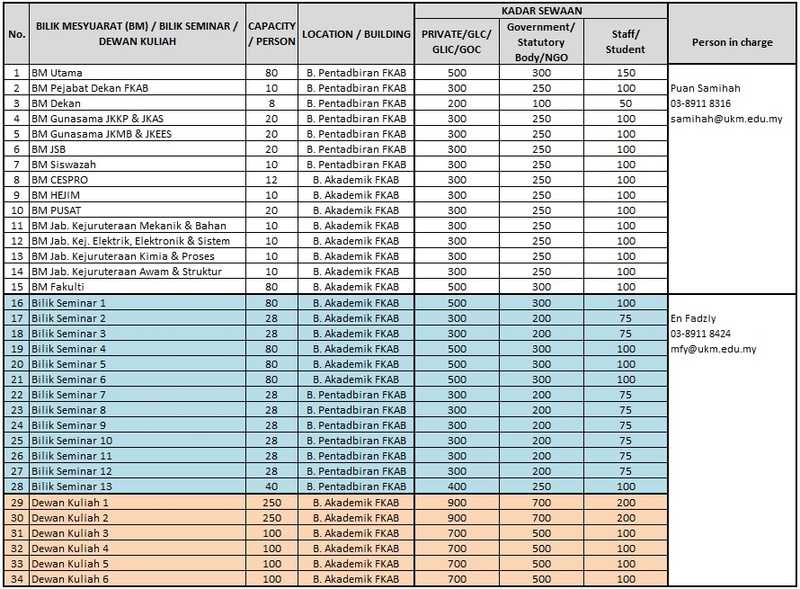 Pekeliling Bendahari bil 02/2015 is used as guidance in setting up the rental fee. Rental rate is based on daily fee ( 8.00 am – 5.00 pm), in which an additional of 15% will be charged for extra time. Half day rate will only be considered if the facilty is used less than 4 hours, where 5 hours usage will be charged with full day rate. Rental fee will be charged for staff or student who uses the facilities to generate income. Any damage on the facilities or equipment will be bore by the renter. Private /GLC/GLIC/GOC -Private company or GLC sch as khazanah Nasional, Petronas, Sime Darby, Telekon, Tenaga Nasional Berhad and Bank Simpanan Nasional. 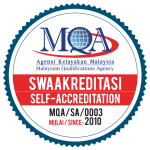 Government/Statutory Body/NGO – ministry of the federal government, Statutory Body such as Majlis Sukan Negara, Perbadanan Aset Keretapi, MPOB and NGO such as YADIM, Gerakan Belia 4B, Perkim, and PEMADAM. Staff/Student – Rental fee will be charged for the staff or student that organizes an event that generates profit. Cash/Cheque at kaunter Jabatan Bendahari, Aras 1, Bangunan Canselori, UKM or direct payment to Puan Safa at Pejabat Dekan FKAB, Aras 4, Bangunan Pentadbiran FKAB, UKM. Cheque should be made under the name of BENDAHARI UKM.